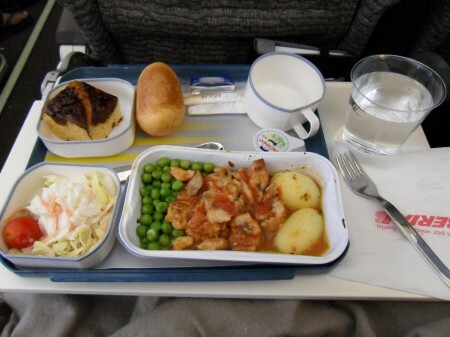 After boarding our flight, we finally got our meals … Just kidding. We wanted to let readers know that both Alex and I will be doing some traveling this summer so you can expect to see international food reviews on the blog very soon. I will be going to Taiwan and Singapore and eating my heart out – as the food is incredibly cheap in Asia – whether it be street food or night markets, while Alex will be traveling to Vancouver and San Francisco eating in a slightly more civilized manner (as opposed to gobbling up everything in sight, like I will). Stay tuned! Tags: Asia, San Francisco, Singapore, Taiwan, Travel, Vancouver, West Coast. cheap but we’re certainly not uncivilized. First of all, thanks for checking in! I completely agree with you. That’s not the impression I wanted to give. What I was trying to do was draw a dichotomy between the Western norm of eating in a restaurant and going through the motions that aren’t necessarily as embedded in Asian culture (sitting down at a table, having a server take care of you throughout the meal etc.) what with the night markets and the more common, casual pick-up-and-go kind of eating experience. I was also joking in a way – referring to myself as being uncivilized when being faced with so much delicious food because I would want to eat it all… Also, I have strong cultural ties to Asia, Taiwan especially as the majority of my family lives there and I am by no means trying to call them uncivilized. On the contrary! I love all the commotion and the buzz there.